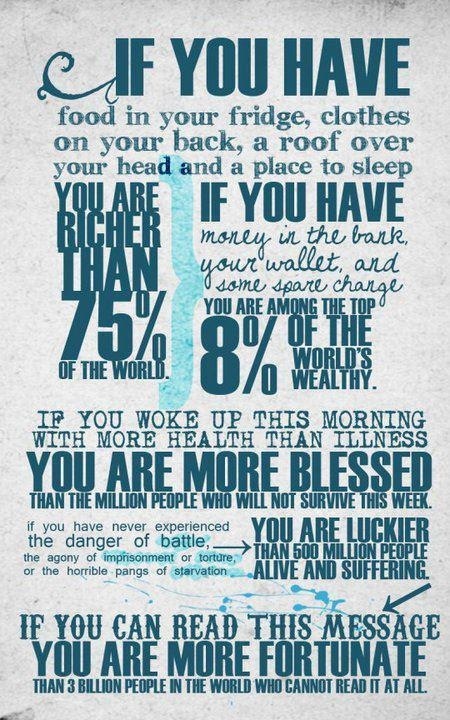 The Daily Rant: We Are A Very Rich, Blessed, Lucky, Fortunate Lot Aren't We? So true. Salena. So true. I've seen this before, but it always hits me the same way, no matter how many times it's been. Thanks for the reminder!